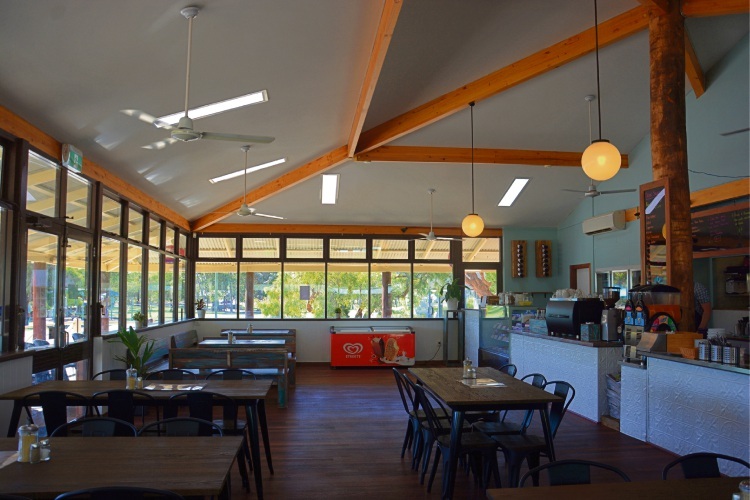 NEWLY reopened Village Caf in Whiteman Park is aiming to continue building relationships with smaller-run producers, according to executive chef and co-owner Paul Griffin. The family owned and run caf officially reopened on March 11, following major renovation works to the dining room, floor and counter space. Mr Griffin said both regular and new customers responded positively to the new fit-out. “We removed and rebuilt all the service counters to create more space inside, and have made use of the natural lighting by exposing all the cafes windows,” he said. “The original jarrah floorboards have been repaired, sanded and oiled and are now a great feature. “We have installed a new bigger espresso machine and new cake display fridge. Mr Griffin said there were plans to upgrade more spaces within the caf area, including an outdoor toddlers’ playground. He said he personally bought ingredients from the local fruit and vegetable market each week, to keep in touch with the seasons. “We have launched our new lunch menu and weekend breakfast menus, adding some fresh new dishes, like our Vietnamese Chicken salad bowl and have a good range of gluten-free and vegan dishes,” he said. “For our weekend breakfast menu the new brioche French toast with local-made maple bacon, berries and crme fraiche is a stand out. For more information, visit www.whitemanparkcafe.com.au.